If, like me, you are the parent of a child (especially, but not only, a boy) between the ages of four and ten, then you probably know the pain of standing barefoot on a stray Lego piece as you walk into the living room. So, think about the extreme level of that pain. Now think about the absolute opposite of that – some extreme joy. That is exactly what said child will experience if you take them to Legoland Germany! 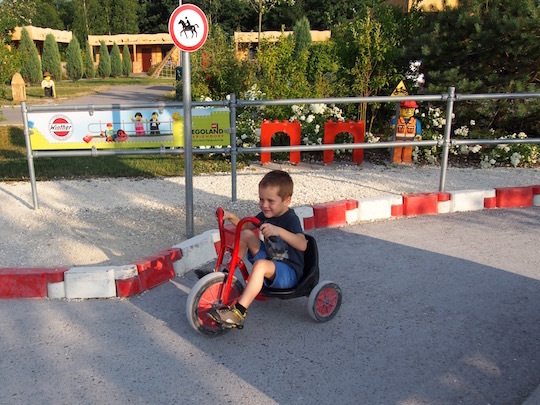 There are hotels near Legoland Germany, but cabin stays and Legoland village camping in Legoland Germany wins for us – their Village is incredible! If you want to stay at the Legoland Village like we did, use this search box to find up-to-date availability and price. Our stopover at Legoland Germany was partly coincidental once I asked myself where is Legoland Germany and discovered somewhat randomly realised that the Legoland Germany location, a tiny town named Günzburg, lies mid-way between my father-in-law’s hometown of Heilbronn (where I used to live, too) and my mother-in-law’s home closer to Lake Constance. I didn’t tell my son before we went, though: it was quite late in our trip and I thought the anticipation would probably kill him; I also thought it might make a very useful bribe closer to the time (and it did!). But I am so immensely glad that we stopped over here because it was not just a highlight of his trip but a highlight of mine too – and here are some of the reasons why. In Berlin, my son and I visited the Legoland Discovery Centre (Aussies note: one of these is coming to Melbourne! ), which is like an indoor play centre full of Lego. It was great, but our favourite part was the miniature Berlin at the entrance – thousands of Lego bricks faithfully recreating many parts of Berlin we’d already seen or would see in the coming days, like the Brandenburg Gate and the glass-domed parliament house. Down at the Legoland Park Germany, they took this to an entirely new level. Miniland, the area right in the centre of the theme park, is chock full of recreations of places near and far, and it is truly incredible. It is made up of more than 25 million (!) Lego bricks and there are sections depicting Venice, Berlin, Frankfurt, the Netherlands, a German village, the Munich airport, and most impressively, the Allianz Arena football stadium. You can stare for hours because there are always new parts to discover; there are also moving parts, so if you keep watching you’ll see a Lego train set off down the track, or see a dump truck at a Lego construction site in action, or watch the A380 come out of its hangar. 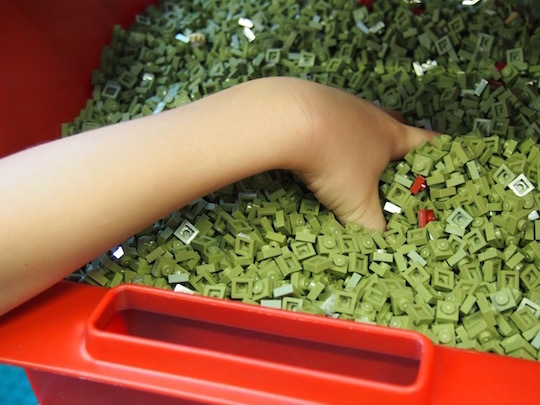 Miniland was the first place we headed on arrival and I was enthralled to watch my son take it all in, constantly screaming with excitement over new parts he’d found and the rest of the time just watching with his mouth hanging open. What a thrill! I wouldn’t take a teenager to the Legoland Resort Germany but I think anyone under ten will get a thrill out of it. My son’s somewhat anxious about rides but there were plenty that were exactly right for him – an African safari drive (past dozens of animals built out of Lego), the Legoland train circumnavigating much of the park, the boat ride and his favourite, the pirate water battle where we could all get saturated! 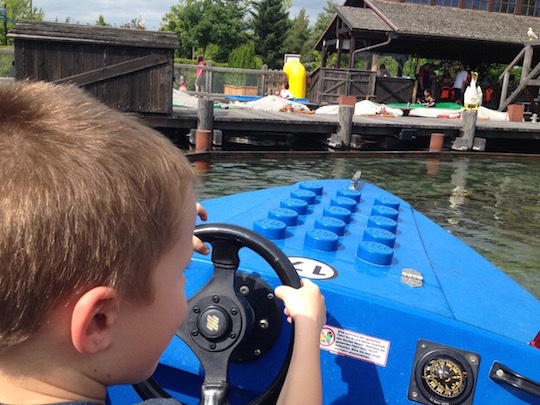 (Luckily we were there on some uncommonly warm days – the Legoland Germany weather was perfect for us!) Since I’m a total wimp when it comes to amusement park rides, the Legoland Germany rides worked out perfectly for me as well. My son at the helm of his Legoland boat – shortly before crashing into another boat. For slightly older (or braver) kids, there were also some great options with a Ninjago ride that took you spinning up in the air, a big rollercoaster at the knight’s castle plus the new driving school for kids between 7 and 13. There are several strategically-placed shops throughout the Legoland theme park and we managed to avoid most of them, and from what I saw they were selling Lego for the same price as you’d buy outside the park (although there was a discount store for discontinued items that we never came across – that would have been interesting to see though probably would have created a problem for our backpacks!). But the place we did make sure we saw was the shop attached to the Lego Factory (Fabrik in German). They had shelves full of boxes of different types of Lego pieces and you could pick and mix and pay 9 Euros per 100g for them. This isn’t cheap (especially if you picked heavy pieces!) but it is a pretty exciting way to get exactly what you want. My son had a plan to build his own airport and picked up all kinds of interesting pieces to do just that; I went crazy on Lego flowers! Sometimes being in a very bright, multi-coloured kind of place can freak me out. I mean, I prefer nature to the big smoke, basically. 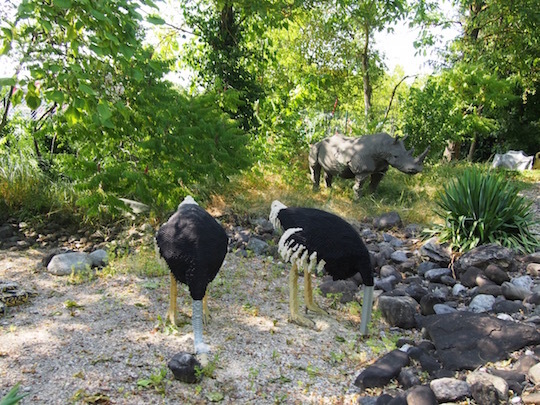 And I did wonder if the bright Lego blocks of Legoland might be too much – but the Legoland Germany attractions were really tastefully organised with heaps of greenery and nature to break up all those primary colours. If you need a green time out I recommend the African safari ride (plenty of trees and shrubs there!) or even taking a wander through the next door holiday village – the path up to it goes through a beautiful forest, with that amazing smell of fresh foliage that I always miss when I leave Europe. Lego land Germany is kind of in the middle of nowhere – a few kilometres from the small town of Günzburg in the south of Germany, not too far from Ulm. I guess there is other accommodation not too far away which would work if you had a car, but we were taking the train so when I was looking into a Legoland Germany Hotel, I was happy to discover that right on site is the Legoland Feriendorf (holiday village), a five-minute walk from Legoland itself. And I’m so glad we did, because it was a very tastefully-done holiday village, with all kinds of accommodation options, from Legoland Germany camping spots through a budget “barrel”-style accommodation (the one we chose) to larger holiday houses, several good restaurants, super-helpful staff, and best of all, some really cool playgrounds to keep the kids entertained when they weren’t in Legoland. We could easily have added on a day just to hang around in the Feriendorf – there was even a lake for swimming. But Legoland definitely got me hooked. There were lots of local touches, too – the Miniland focused on Germany and the surrounding region and I think that’s perfect. 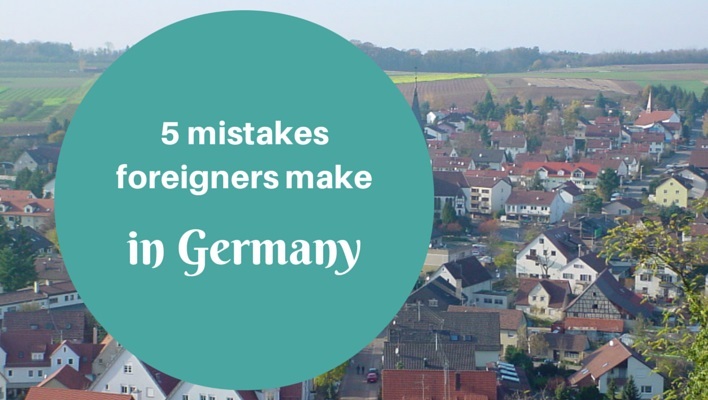 And while there were people there from numerous neighbouring countries (and cars in the car park from as far away as Bulgaria and Romania), the guests were predominantly German and there were no multilingual signs – it was definitely set up with German guests in mind. So there’s that. 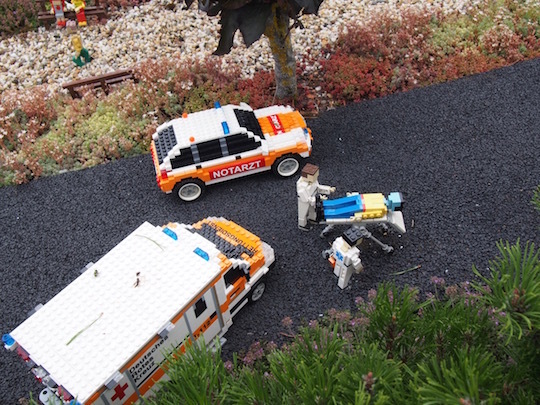 Something for everyone in Legoland Germany – I loved the detailed incidents you’d find in Miniland if you looked long enough! On top of that, I’m just a true fan of Lego – I played with it for hours and hours as a kid, it’s a fabulous, quality product, and I don’t mind “supporting” the Lego brand, because I love that my son loves it. So I guess that gets me past that slightly icky feeling of being in an amusement park instead of being out there exploring some more authentic local culture. So would you visit Legoland? In brief, our Legoland Germany review is: You have to go!!! You can get Legoland Germany tickets directly from their website and remember they are a summer-season park – dates vary from year to year but they are always open between April and October, at least. There are a bunch of Legolands around the world, all somewhat adapted for their local environment – my sister and her family happened to visit Legoland Malaysia while we were in Europe and sent pictures of them building Lego at tables in the middle of a swimming pool. (Not a feature in Germany as the weather would rarely be warm enough for that!). Many people ask me about Legoland Germany vs Denmark – our Denmark trip is in the planning so I’ll tell you more after that but I love that the German one is easy to fit into a central or western European trip – which is a lot cheaper than heading up to Scandinavia. If you’re travelling with Lego-loving kids (and are there really any other kind of kids?! ), and happen to be near one, I would suggest you seriously consider spending a couple of days there. I know it’s an experience my son will talk about for many years to come. He burst into tears when we had to leave and I wished we could have added on yet another day for him! Just so you know: this visit was supported by Legoland Germany but the opinions in our Legoland Germany review are very much my own – and my son’s! 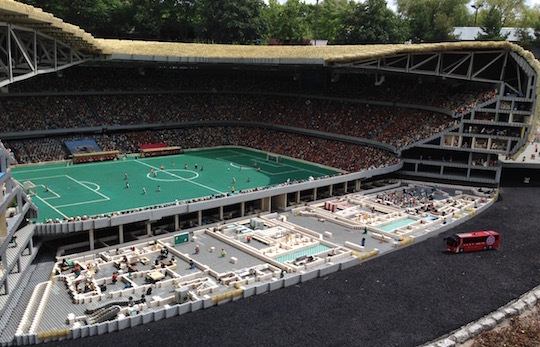 Check back in 2019 for a Legoland Denmark vs Germany review, too!